I know it feels like forever since I've done a book and movie review for a 007 film but I just needed some time to relax and give some time between each post. Originally, I was holding off on this story because it's my least favourite in the series and really needed to read another book between intervals. I've started on the next book in the series but I'm slowly reading it to coincide with this review so now I can read it at my regular pace. So to pull us back from my sidetrack, today's blog post will be reviewing the high-flying aerospace 007 adventure: Moonraker! If you need to catch up with the previous reviews, they're located on the site: Casino Royale and Live and Let Die. The Story (novel): James Bond is sent in to take down card cheat and industrialist Hugo Drax. 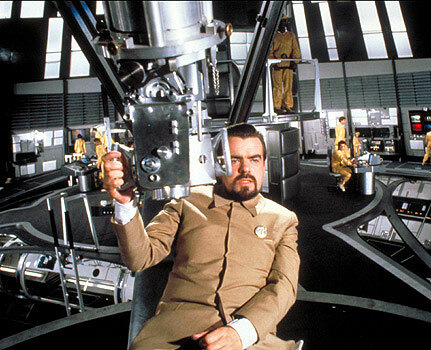 The plot focuses on Drax's new secretive outer-space aircraft the "Moonraker" and the nefarious motive for launching the aircraft. At Bond's side is his superior M (who now takes on a bigger role being involved in completing the mission) and undercover Special Branch agent Gala Brand. The Story (movie): 007 agent James Bond is brought in from Africa to find out the cause of a hijacking of a Drax industries aircraft. The plot soon focuses on Drax and his plan to destroy human life to rule with his own creed. On the villain side along with Drax is steel-mouthed assassin Jaws and Drax's bodyguard Chang. Helping Bond complete his mission throughout the film is undercover CIA Agent Holly Goodhead, Drax's personal pilot Corinne Dufour, MI6 superior M, quirky inventor Q, and Brazilian contact Manuela. Being one of my least favourite entries in the Bond series, I will admit that my hopes and expectations when reading this novel were extremely low. 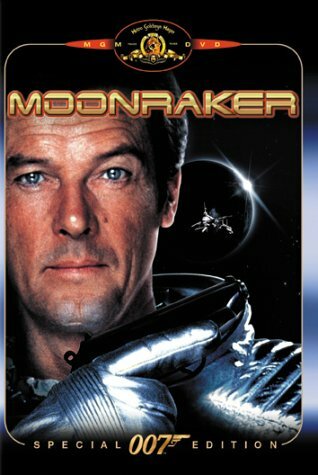 In fact, Moonraker was the last Bond movie I watched when I purchased the entire collection because the idea of Bond in space really seemed laughable. Definitely someone tried to bandwagon on the popularity of Star Wars when this movie was created. The biggest difference is very noticeably the story and plot. Moonraker the film focused on bringing Bond to space to stop Drax from releasing a toxin that would end human life while Moonraker the book involved an an aircraft that will go into space; difference is that Bond wasn't going to go into space in the book. The more appealing of the two is, surprisingly, the book. It felt more grounded in a Bond adventure because there was a key devious plot to destroy the city of London using this aircraft while in the movie there were guns that shot lasers and space ships; all we needed was Captain Kirk and we'd have Bond meets Star Trek. Another big difference between the movie and the book is the choice of Bond Girls. In the book, the prominent Bond Girl is Gala Brand. She's a quick-witted Special Branch operative who goes undercover at Drax's secretary who proves to be one of the few Bond Girls who doesn't fall for the charm of 007 and doesn't sleep with him. On the opposite side of the spectrum, the prominent Bond Girl is Holly Goodhead. 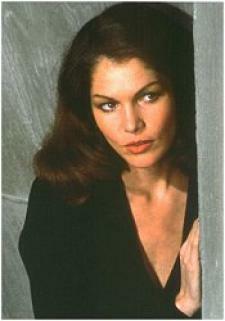 She's a cold yet sultry undercover CIA agent who works as an astronaut and researcher for Drax's Moonraker project. They're both good characters but I felt more emotionally connected to Gala because you could tell that she's trying to push Bond away and complete her mission but Bond is continually getting under her skin while you don't really sense the same with Holly. It's more of an ally presence to their "relationship" and it really was not the same. One glaring fact that continues to pop up whenever I read these books is the lack of involvement from Q. In the series, Q is a physical person that shows up to give Bond his gadgets while in the novel, Q is just a branch and there is no gadgets that Bond uses. It's a different feeling because the gadgets were an aspect of the series that made it unique and different but without, it's like something important was missing and I kinda really want it back in the story. It's shocking to say the least due to the fact that the movies have proven to be the favourites for the last two review but this one was a clear winner when I put both in perspective. While neither really helped to improve the favour of Moonraker out of all the Bond films, it did help to shed some light to how I felt regarding the concept. I liked the novel's storyline and the association with Gala compared to his relationship with Holly. The thought of Bond in space using laser guns and the whole toxin idea sounds like a good and interesting idea but it really didn't resonate with me. There are some great scenes and moments in the film that I liked and I would watch the movie again in the near future but wouldn't top as my favourite. NEXT: The next book on the reading list is one that I actually started reading days ago. I've taken my time to get through it and I haven't reached the halfway point so that I could write this review but now I start again. 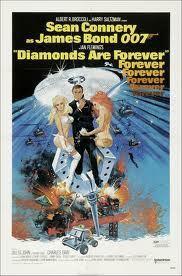 The next book is going to be the Las Vegas luxury adventure, it's "Diamonds Are Forever!"